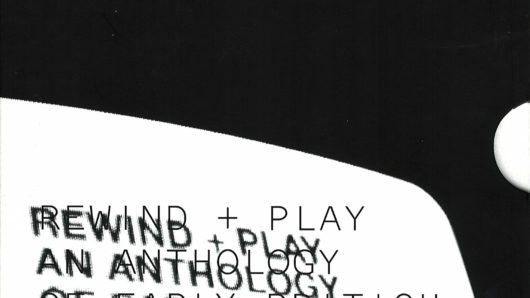 On the occasion of the publication of the new LUX DVD, REWIND + PLAY, An Anthology of Early British Video Art LUX spoke to writer and academic Sean Cubitt about the early days of video in the UK. Sean Cubitt is currently Professor of Media and Communications, University of Melbourne and has written widely on the media arts. Also included are a selection of works referenced by Sean in the interview. 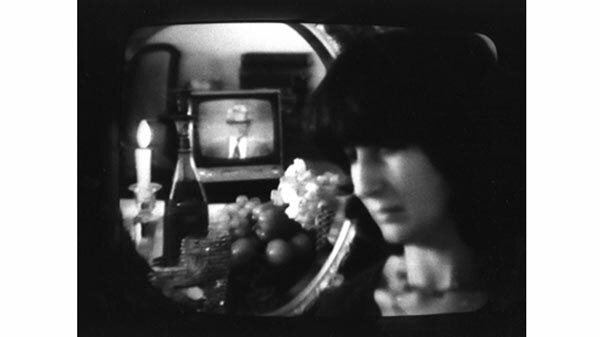 Could you say something about the characteristics of British video art from 1970s? 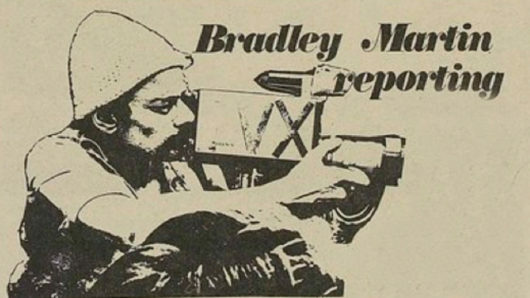 Well, the oddity was that I wasn’t actually in the UK in the late ‘70s, I was a student until ’75 and then I went to Montreal and was there until 1980, and when came back I got involved with film and video, firstly with the Rio Cinema, and then through the Rio with all sorts of other cultural organisations such as Centreprise and other kind of Hackney-based groups, including community video workshops. I was writing for City Limits from probably late 1980 and I picked up the video column there, and it was kind of interesting, because I was reviewing films, and I think Phil Revill had started a video column, and he would later go off and launch one of the key trade papers for the new sector, but for some reason I picked it up, I can’t remember why, but it was an oddity, because everybody used to avoid it. The arts people didn’t really want to do film and video, like the Co-op screenings and things, and the film people all only really did feature films and repertory, they weren’t that interested in experimental work, so I think it was Cordelia Swann who used to come and cover the experimental movies, but there was nobody covering video at all, because it was neither art nor film, and therefore it fell between all stools. Nobody really looked after it, which was of course the institutional condition under which video grew up from the early ‘70s onwards, it never had an institutional home, for example the BFI and the National Film Television Archive didn’t really handle it. The national collections such as The Tate Gallery, didn’t handle it, the British Council bought some pieces, and they’ve always had a much more interesting collections policy than any other national collections, but it did mean that video was kind of growing up in a space without an institutional base. David Curtis at the Arts Council, was in many respects the saviour of it, and I think without his personal input, it’s really unlikely that anything much would have occurred. There were centres at the different art schools, and that was kind of crucial, so places like Maidstone, for example, had a really important role to play in providing equipment, amongst other things; The Royal College of Art had equipment, but many art schools didn’t, and it simply wouldn’t occur to them to purchase it, video in particular – it just wasn’t on the cards, it was not a resource that anybody particularly wanted, it didn’t appear in foundation courses, and because it didn’t appear in foundation, people didn’t go looking for it, unless they were the kind of unusual people or who either had a tutor who was really interested in introducing that kind of work, like Steve Farrar, whose first lesson was to take apart a 16mm camera to see how it worked, that was the first class they had – take it apart, and rebuild it – amazing! So there were people of calibre and education institutions, but the moment you left college there was really nowhere to go, Dave Critchley recalls that it was at the Serpentine Show in 1975, that there were conversations about establishing what would eventually be London Video Arts, because individually it was too expensive and individual artists just wouldn’t actually get the value out of expensive video equipment and we’re still talking reel-to-reel at that point, expensive, bulky, and relatively difficult to maintain, slightly tricksy equipment. 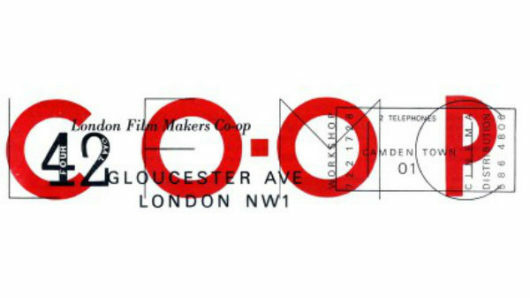 So the idea of a shared resource was really interesting, I think early conversations also involved people who had links with the London Filmmakers Co-op as well. The Video Show, which I missed, is also quite intriguing for the people who were there who are not particularly remembered, so there are a number who appear on the LUX REWIND DVD who were there, and there are number of people who appear in the documentation for it who are really forgotten, like Darcy Lange who was not covered by press at the time, but his slot is on the floorplan, and his contracts and so forth, they’re all in the REWIND archives, so it’s really intriguing to find that people who we all presumed were there weren’t, and people who we’d not thought of were – that’s really intriguing. Both Dave Critchley and Steve Partridge recall that pretty much anybody who had ever picked up a video camera was in this show, but that’s kind of interesting. I think the other intriguing thing – is that there’s a sort of institutional loneliness, there’s the beginnings of various aggregations for example around Hoppy’s (John ‘Hoppy’ Hopkins) famous first portapak, and its application in what would become the community arts movement, so it was squatters’ tapes, rent strike tapes, that sort of activist work, which was also a major strand in early video, and people actually migrated between these strands. And then there were regional places like Cardiff had equipment which seemed to be variously placed at the art school and at Chapter workshop, which I think began in the late ‘70s, so people would be migrating between doing art works one day and then taking kit out to record miners’ strikes in Pontypridd the next, someone like Mike Stubbs, for example, was migrating between these two, and in many respects in his practice still does, a lot of his work is still social documentary, even if it’s also being made with a kind of gallery type of aesthetic as well, like his piece ‘Doughnuts’, which is a relatively recent one about boy racers, it has both of these things, it has that kind of aesthetic, in many respects it’s Mike’s own, but part of that is that it’s integrally about a community and its behaviours and its particular kind of gritty glamour, as well. So there is, and possibly even more so in the Thatcher era, a really strong relationship between the aesthetic and the socio-political aspects. Another odd thing and it’s the sort of thing we really need to do more research on, is the loneliness of a national video culture, because the film culture throughout the ‘60s and ‘70s had been able to shift things to and from, especially North America and Europe, so there was a constant flow between the Co-op film makers, and say the Viennese, or the New York school, and there seems to have been a lot of traffic and the Co-op was able to show work from North America and Europe. With video, possibly because of the damaging expense, and the loss of generation when you went from PAL to NTSC or vice-versa, and also with France having SECAM, there’s a real problem about getting tapes shown internationally, and although there were places like Knokke where things were being shown in group situations, there wasn’t really that kind of import/export that there had been around independent film and experimental film, so it did mean that there was a slightly isolated feeling, not only institutionally, but internationally, which is kind of odd, because even ‘30s independent film had never really had that sense of isolation, and not with people like Cavalcanti working here, or people like Basil Wright, who’d worked internationally, but with video, it seems there was a really unusually national aspect to it, and again this was even though there were international players like Darcy Lange, Mike Leggett and others, there was still a, not exactly an insular thing but more like a hothouse – a group of people who largely knew each other, largely shared a set of interests, had largely similar backgrounds, and a shared sense of what the medium was capable of. Do you think this sense of isolation plays out in the work, in terms of something you can put your finger on in terms of a kind of a national identity for the work? Is there something unique to British about it? I don’t think it’s a national identity, as such, but if you look at the key American works of the period, you’re looking at Dan Graham, Nam Jun Paik, and you’re looking at Vito Acconci you’re looking at a lot of interactives, or things that use rephotographing, time lapse, or delay rather than lapse, things that are in a sense a bit more installation-orientated. Although there were installation works in the UK – for example David Hall’s works, and there were performance works, there’s really a much stronger sense of something to do with the aesthetic of the screen itself, so that single monitor wasn’t a loss, it was a really interesting thing to work with, especially those old grey scale monitors. This is before shadow masking, or the Trinitron masks, so there’s no sharp definition that subsequent cathode ray tubes from 1982 onwards had, prior to that there’s nothing to mark off one phosphor from the next, so as you illuminate one phosphor, and you have one unilluminated next to it, the illuminated one is going to flood, and smear, as it were, just a tiny bit, because we’re talking about molecules, but they do soften across the screen, and that’s really apparent in some work, and classically probably David Hall’s ‘Vidicon Inscriptions’, which use the specifics of the Vidicon camera to get the after image in, and there are other works from even quite late on, like Despite TV’s ‘Despite the Sun’, which was shot on VHS at night, so it’s full of comma tails and smears and it was shot colour, but actually there was insufficient light, so it comes out as a greyscale, that’s I think one of the most gripping pieces of political documentary to be made in this country in the last 50 years, it’s a phenomenal piece of work. It was using the aesthetic of both the recording equipment and the playback, the immediate circulation for ‘Despite the Sun’ were people in the immediate area of the dispute over moving the Murdoch group newspapers down to the Isle of Dogs and the famous picket lines. The BBC crews, which they interviewed, weren’t allowed through the police lines, but these guys were all locals, so they all went scooting round through people’s houses and so on to get stories that the national media weren’t getting, and it’s a fabulous piece of work, but it was designed to be shown locally and distributed through the library service in Tower Hamlets, so they were expecting domestic TV and VHS playback, so it was pretty raw, and also released very swiftly, I think they cut it in less than a week from about three weeks of shoots. So it was very important aesthetically as well as in terms of its politics. But that sense of what the screen itself was capable of, I think you can see very strongly, for example, in Tamara Krikorian’s ‘Vanitas’ that the softness, and also the curious depth of Vidicon image, where you can see really in some detail the staging that she’s left in the back of the screen, presumably set to put a reasonable amount of light in there to get the responses, and of course it’s not in fine resolution, but it’s in no less fine resolution in the foreground, so you’ve got this really lovely soft set of colours, almost like those Alfred Stieglitz photographs of snowstorms, they’re very sensuous in a way, very tactile, in a way that I think post-Trinitron it’s been very difficult to get, because we have much crisper, in the case of Trinitron, apparent definition, and then obviously with digital, you’re actually looking at square pixels, so they are physically rectilinear, in ways that the spatter of phosphors on a screen never are, and even if the scan is linear from left to right, what it’s striking when it hits the operating part of the screen is not linear, it’s not gridded, and there’s no apparent grid, as you get the Trinitron. So yeah, it was a very very different sense of sensuality, and I think that was of real interest to artists like Stuart Marshall, that whilst operating with a conceptual apparatus that was emoting out of minimalism, art and language, and other very active areas of work, systems theory and so forth, that were influential in the ‘60s and into that generation in the early/mid ‘70s. You are also getting, I think, in Stuart perhaps more than anybody else, a sense of medium-specific qualities to video, one of which was its duration, but then the duration is also integrally about the, not only the refresh ratio, it’s the decay rate of light on the screen, so those old screens, when you turned them off, they would stay lit for quite some time, it would take five or ten minutes for a screen to go really dark, because all the phosphors had been agitated, so you had this kind of soft glow, if you turned off a TV in a dark room, you’d see this glow just gradually diminish over quite a period of time, and that was integral to the duration of the image, that it wasn’t a flash frame like a cinema frame, obviously it’s an interlaced image, so it relies not only on persistence of vision for you to put the two interlaced scans together, but also the fact that the first scan actually retains some of its luminosity, once the second scan is going in, so they don’t simply replace each other, there’s a kind of fading and constant cross fading of the two scans and then fields as they come in. So that durational aspect I think also had to do with the physical aspect of the screen, and I think gave itself that sort of tactile sensuality, which I think you can still see, even on some recent BBC transfers of early ‘Doctor Who’, or ‘Quatermass’ from the 1950s, where they had very much that same thing, where they haven’t gone for virtual resolution, instead they’ve kept as best they can that lovely fuzziness of the colours and the big bleach outs and the highlights. I guess the loneliness was more about a group identity, rather than a national one – I don’t think it made people feel British, but I think it did mean that there was something like a school or a scene, and isolated both from the larger art world, who were less interested in technologically mediated stuff, and also from the international areas – people had an idea, because we were getting magazines like Radical Software and so forth, but seeing work was much much more difficult. Can I ask you talk a little more about institutional purchase this early video work did or didnt have? you’ve touched on this in describing the “institutional isolation” but obviously it’s a big part of the history of this work, and something that projects like REWIND are obviously trying to readdress in some way, I wondered – obviously video was a new medium, and technology-determined, but in your mind are those the only reasons for this lack of institutional engagement? – especially in relation to how institutionally visible comparable work was in the US. Well the archivists loathed video, because it is so fragile, as you know from your work here at LUX, it’s hugely ephemeral, it’s very difficult to maintain, to bring an old tape back to life means a process of baking the old tapes, and then, if you’re lucky, getting a single play from a tape, and just praying it doesn’t break and all the oxides fall off. People at the time, the archivists, knew this was the case, they knew about the sub-straits, they knew about electromagnetic particles, they knew about the binders, and they knew these things would have a shelf life of maybe four or five years. So was it a sense of it just not being a professional medium somehow? Yes, absolutely, and the broadcasters were the same, so the broadcasters were, even where Channel 4, for example, quite early on had commissioned Gorilla Tapes, then Luton 33 one of the video workshops, and they commissioned a thing called “The Degraded Video Show”, it was Luton’s title, so they actually wanted to show a lot of low-band, and they couldn’t get it past the Channel 4 engineers, who said, there’s a problem, “No, this is not broadcast quality”, so they went back and started working on it again, and by the time they’d sort of upgraded everything everybody had moved up a bit, and they’d gone onto Beta tapes, it was a constant chase, so that even where people like the Channel 4 commissioning editors were really interested in supporting the work, there was still other challenges, some were to do with engineering, some, for example, around Death Valley Days and Gorilla Tapes were copyright problems.So there were a whole stack of other problems that happened partly because there was a very ‘non-professional’ attitude towards the equipment, artists weren’t treating their works as television, and they weren’t doing television crewing, which was a big issue in the ‘70s and ‘80s – if you weren’t properly crewed, it could not be recognised as a union product, and if it wasn’t union, it wasn’t going to get broadcast. So the idea was to mediate through the workshops who had union recognition, but even then there was still this sort of strong sense amongst the broadcasters that, if they put something out, and it looks shoddy, then it’s going to reflect badly on them so it ultimately meant that the broadcasting avenue wasn’t open to artists either. The archive problem was really crucial for both archives and national collections, and then the other thing was, I think a really genuine anxiety amongst curators about electricity. When MITES set up the Moving Image Touring Exhibition Service, one of the first projects that Clive Gillman put in place was called “Spaghetti Without Tears”, which was for training curators in how to show video works or things that involved equipment like synch units or hard drives, because they simply didn’t know how to do it, and they didn’t really want to know because if they found out, it would become their job, and so it was a really interesting and very powerful example of how to make an intervention, this would be at some point in the late ‘80s or ‘90s and people had by then got the idea that there was stuff happening in video that was worthwhile. I remember in your Greyscale article that you talk about video lacking an artists’ signature in the work, I’m not exactly sure what you meant by that? I guess I probably read it as a kind of remove from the work, somehow? – that with this kind of mass electronic technology, where is the artist’s signature? On the portico of the Tate Britain, they’ve got two little maquettes, one of painting and one of sculpture, so this is declaring what fine art is about, it’s not about watercolour, which is for ladies, or printmaking, which is for craftspeople; art starts really with sculpture and painting, and then anything else has to kind of fight its way in. So if you look, for example, at printmaking, at least with printmaking, and intaglio in particular, you can only make so many passes, like you’re probably up to about 40 passes on an etching plate, and then the plate’s stuffed and you have to start again. Screen printing’s slightly more tricky, but even in pre-digital times, and actually to some extent in digital screen printing, you only get so many prints, and each pass is potentially a unique print, because of the way the inks operate, depth of the screen and so forth, so a lot of Andy Warhol prints classically, he does a whole stack of things in the print making process, so he doesn’t clean areas of the screen and they get gradually filled, so they don’t print or they print black, or there’s smears, or he squidges two colours on at the same time, which is an anathema, but it does mean that they’re random effects in there that make each print individually discernable from the next one. The thing with video is that, apart from dropping a generation, at least in pre-digital times when you do a tape-to-tape transfer, there really isn’t a reason to stop – you will eventually exhaust the master, but it’s going to take quite a lot of copies. So there wasn’t a way of restricting the number of prints and the artist’s proof or the numbering, that you can do with a print, just weren’t feasible; people did do things, Nauman for example used laser disc, and then very volubly destroyed the disc at the end of each show in order to restrict the edition, in a similar way to some photographers who making a certain number of prints and then destroy the original negatives and plates. So there were ways of doing it, but to some extent that was against the nature of beast, which was that it was also a distribution medium, we never quite got distribution right, but part of the idea was that it would remove the gatekeeping, not for everybody, but the gatekeeping functions were no longer necessary, that in a pre-web sort of way, there was a sense we could somehow manage to find a network or a system that would get things in circulation, but all of that meant that you couldn’t put a price tag of any useful form on it, and of course it also raised the question, you were asking, about authorship – so where was the artist in this? But curiously, during that same period, film had become recognised very strongly as an art and there was a kind of boom through the ‘60s and ‘70s, of the auter film maker, from the sort of old guard of Bergman and Fellini through to the new movie brands of the ‘70s, films like ‘Taxi Driver’ and so on. So there was a sense that people were saying, yes, Scorsese – what a great artist, while he was obviously working with a massive industrial-scale crew, and on the hand you’d have one person set up, like Tony Sinden for example, just making it work on his own, or Dave Critchley, and this was deep, biographical work that almost certainly couldn’t have been done in front of anyone – just him and the camera, that kind of confessional mode. Chris Meigh-Andrew’s early work is even more interesting, because it’s not very bodily in the same way, some pieces are, but many of them are much more about the system, so they address the technology technologically inside little micro systems that he’s established, and they don’t lend themselves to either a kind of romantic concept of the presence of the author expressive in the artwork, or to a commercially viable signature that would actually mark the work out as art, distinct from what I’m like, made by hosepiping a video around. On the other hand, the fact that there was a kind of circuit of people involved and interested, and at least a tiny number of people who are writing about work as well, I think that really made a difference. A number of those writers were artists, David Hall, Jez Welsh, Simon Biggs, Cate Elwes, Chris Meigh-Andrews, but there were also some other writers like Andy Lipman, Pat Sweeney and Steven Bode, who were beginning to write in, both the art press and in wider circulation listings magazines and so forth, and I think that really was, part of the sense that, although on the one hand we were rumbled about being left out, on the other hand, it also presented a certain kind of opportunity, perhaps one that was never really completely taken up, but it meant that artist-run institutions like LVA and the Co-Op and later LUX had a central role, and to have an artist-run institution, I’m not really calling them an institution really, over-egging the pudding, it’s like two men and a dog, and a lot of goodwill and scrabbling about, and people helping each other out, but to me that experience of artist-run groups providing the centre for both production and discussion, dissemination, exhibition of work, largely without particularly galleries or certainly large galleries having any interest, or the art press, or funders beyond Dave Curtis’s small unit at the Arts Council. That meant that there was, I think, the conditions for the only time England has really had an avant-garde, from the late ‘60s Arts Lab, hippy kind of period, David Larcher, his early movies, that sort of thing, through to the 1980s’ Thatcher era, proto-digital mode, and I think that’s why it’s so interesting, that England doesn’t product, and I think Scotland and Ireland and Wales are different, but England doesn’t produce avant-garde, and I guess the closest is passably the Bloomsbury Set, and frankly it leaves a lot to be desired. But this is a movement which has a set of goals, it has certainly a lot of disputes and different aesthetics, but there’s certainly a very strongly shared political ethos, not a platform as such, but an ethos of, I guess the word we would have used at the time would be “impressive”, sort of feminist, anti-racist, pro-socialist. Then a sense also that these media were potentially going to make it possible to work very differently, radically differently, to previous art schools and movements and institutions, so I think it really was an avant-garde, has its own wonderful manifestos from Stuart Marshall and Peter Gidal’s writings through to later iterations, like some of Jeremy Welsh’s writing in the later ‘80s and early ‘90s, and that, I think, was one of the reasons it still seems so exciting for other generations – partly because there are aesthetics there in that analogue and immediately pre-digital era that are still not completely explored, and partly I think it’s because of this autonomy. This kind of autonomy of an avant-garde, an organic intellectual flow, it’s massive experimentation, and massive sense of hope and direction, by no means national, but I think on that smaller, more local scale, at the end of the 20th century that England finally got an avant-garde.